brass products, detonics, power cartridges and mining drill-bits. Closing the skills shortage gap within the aviation industry. manufacturing weapon systems, transmissions and drivelines. Your Preferred Trusted Security Technology Partner. Denel SOC Ltd is a state-owned commercially-driven company and strategic partner for innovative defence, security and related technology solutions. It groups together several defence and aerospace divisions and associated companies. Denel provides turn-key solutions of defence equipment to its clients by designing, developing, integrating and supporting artillery, munitions, missiles, aerostructures, aircraft maintenance, unmanned aerial vehicle systems and optical payloads based on high-end technology. 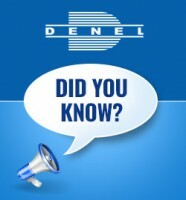 Its defence capabilities date back more than 70 years when some of Denel's first manufacturing plants were established. Between the Denel divisions there is a collective experience of over 200 years. 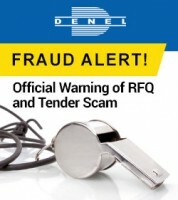 Over the years Denel has built a reputation as a reliable supplier to its many international clients. It supplies systems and consumables to end users as well as sub-systems and components to its industrial client base. Denel also has a number of equity partnerships, joint ventures and cooperation agreements with renowned international players in the defence industry.